Join us on Sunday, October 1 for the last EVERYDAY AFRIQUE party of the season. Summer's over, but that doesn't mean the party has to stop. 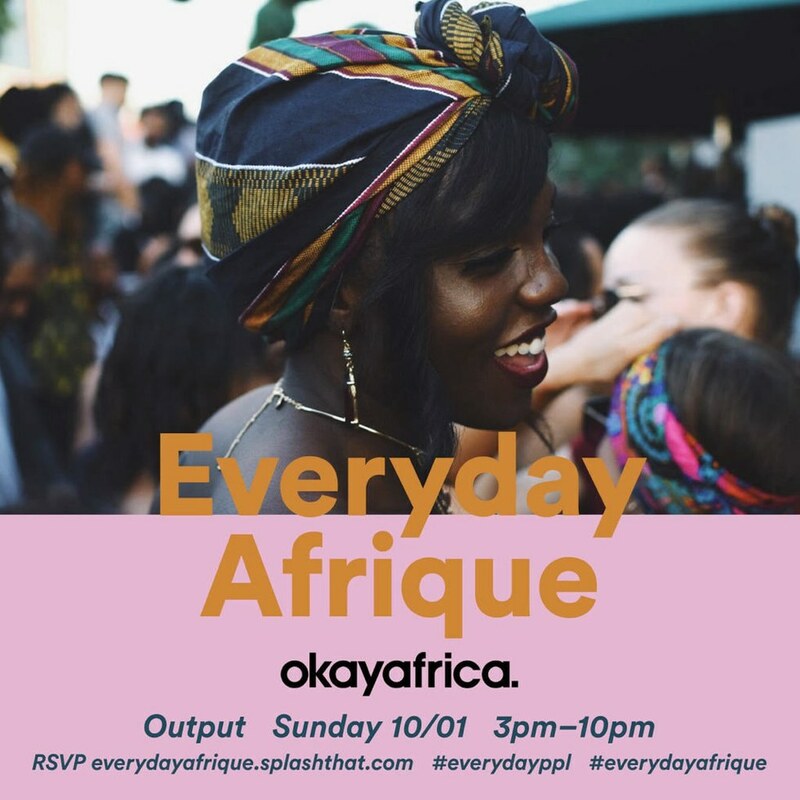 Join us on Sunday, October 1 from 3 PM to 10 PM for our last EVERYDAY AFRIQUE party of the year, hosted in collaboration with Everyday People. Get out there in your flyest warm-weather threads while you still can! It's all going down at Output in Brooklyn. Meet us at the rooftop and expect dope tunes, drinks, and infectious vibes as usual. You can purchase tickets to the event now—might as well come through and close out the summer with a bang.